Valentine’s Day is coming soon! 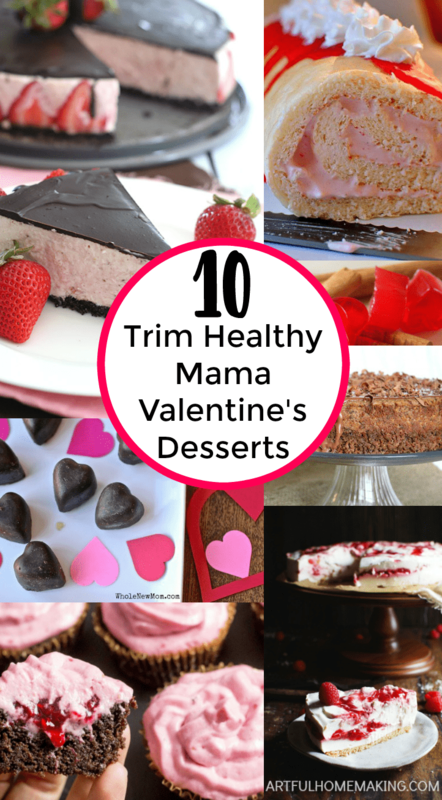 Here’s a delicious collection of healthy, gluten-free, sugar-free, Trim Healthy Mama Valentine’s Desserts to choose from so you can enjoy the celebration without compromising your health! I’m amazed by the growing number of excellent gluten and sugar-free dessert recipes that are available. Here are some I’m hoping to try soon! 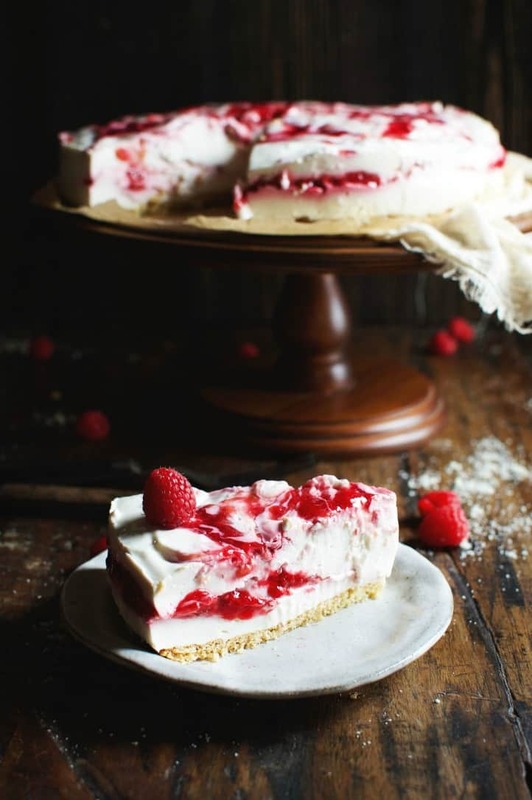 This beautiful Low-Carb Raspberry Swirl Cheesecake, by Simply So Healthy, is first on my list. Isn’t this just the most beautiful and artistic photo? 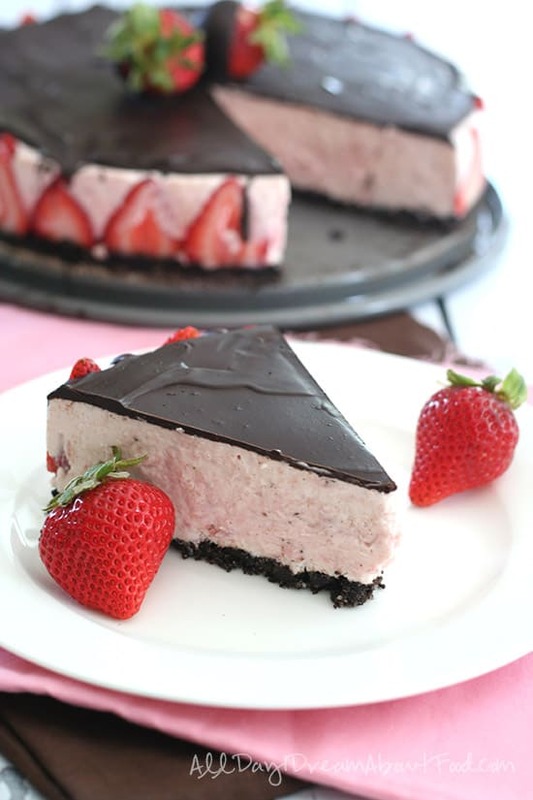 This Low-Carb No-Bake Chocolate Covered Strawberry Cheesecake by Carolyn at All Day I Dream About Food, looks delicious! 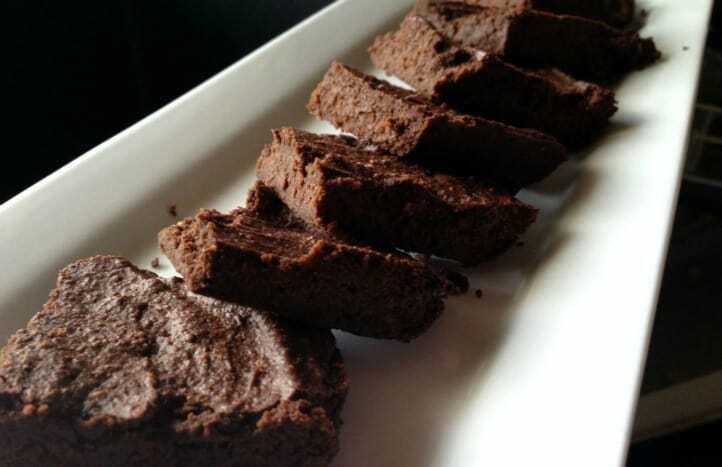 If you’re longing for chocolate, try these Grain Free Fudge Chocolate Brownies, by Counting All Joy. 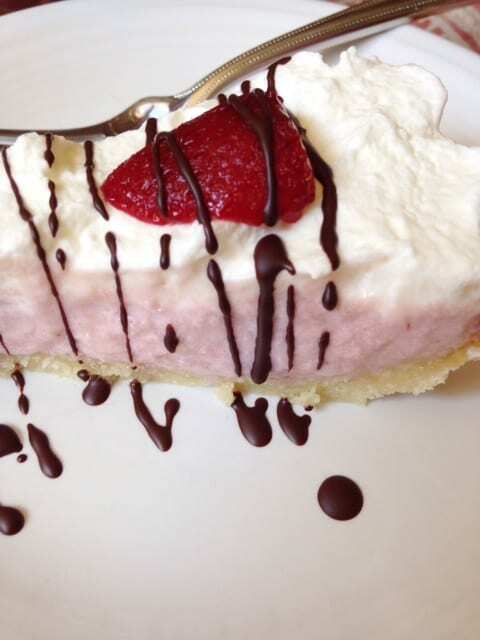 This Strawberry Cream Pie, created by Jen Saves, has it all—pink, white, red, and chocolate! The perfect Valentine’s combination! 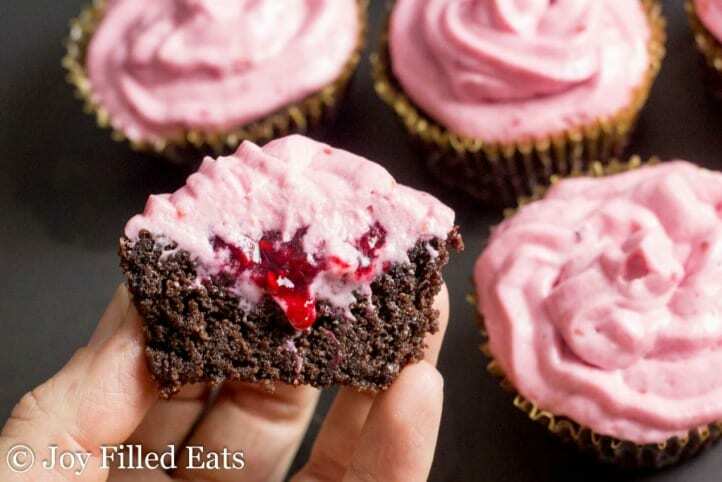 This recipe for Chocolate Champagne Cupcakes with Raspberry Icing, from Joy Filled Eats, is another one I’m definitely planning to try. These look delicious! 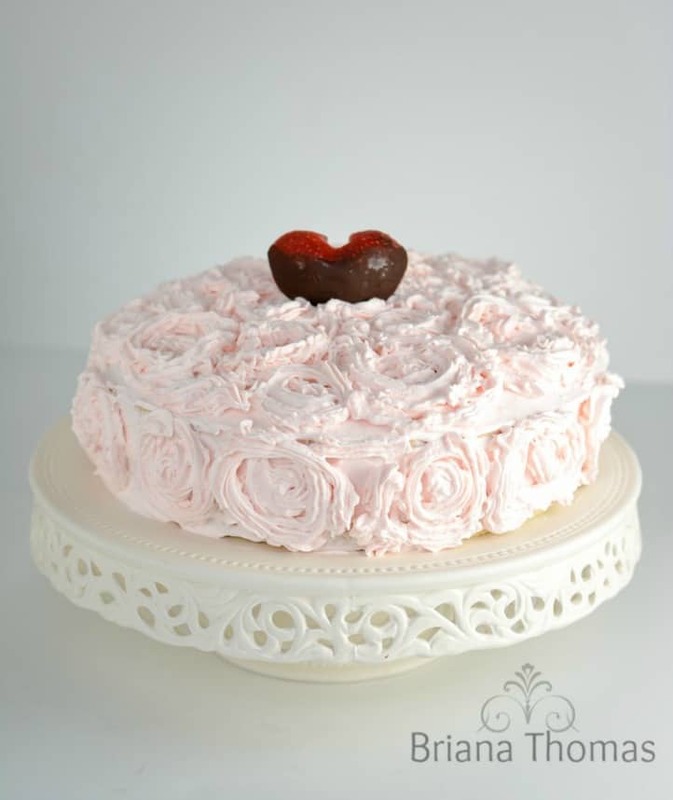 This Showstopper Valentine Cake from Briana Thomas is definitely a showstopper! It looks amazing! 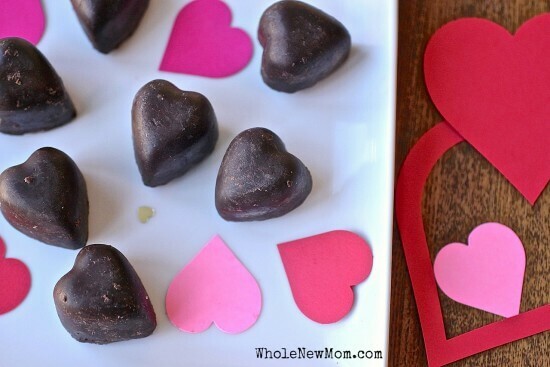 These Chocolate Nut Butter Candies (similar to Reese’s) by Whole New Mom, would be a great alternative to the usual candy. If your kids like gummies as much as mine do, this recipe for Red Hot Cinnamon Gummies, by Joy Filled Eats, is sure to be a hit! I’m so thankful for all the talented bloggers out there who are creating such awesome and healthy recipes! 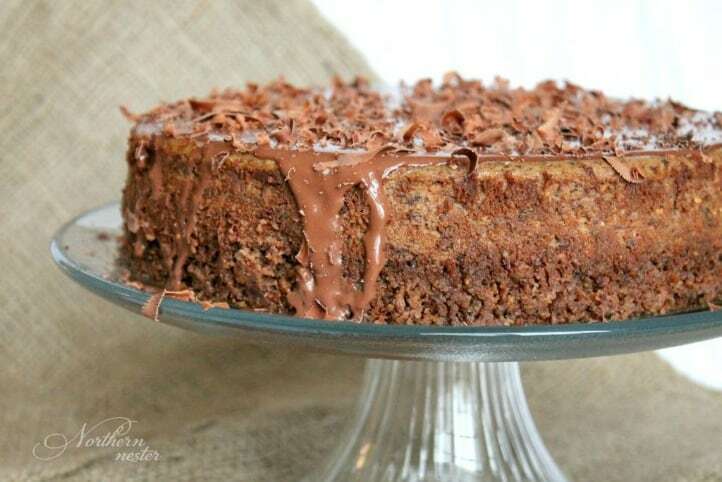 Do you try to make healthier treats for holidays? What are some of your favorites? Hi this is Kristina visiting from Foodie Friday. Wow, these all look amazing! It’s impossible to choose a favorite, but the chocolate covered strawberry cheesecake might be what I would want to try first. I agree, that one looks amazing! These all looking so good – that Strawberry Creme Pie looks to die for! Thanks for sharing on Homestead Blog Hop! These all look delicious! Thanks for sharing with Party in Your PJs! Mmmm…nothing like being able to have your cake and eat it too! Thanks so much for sharing at the #happynowlinkup! So glad you stopped by, Leslie! I agree! Glad you stopped by, Sandra! These all look amazing! Pinned. A must try list! thanks! These look so fantastic. I was hoping at least one of them would pop off the page already made. I will be pinning this page. Thanks for sharing with us at Sitting Among Friends. I know, wouldn’t that be nice (if they could pop off the page)?! Thanks for stopping by, Jaime! Thank you for compiling these health options for dessert. I’m sharing on my #couchpotatotofabfit Facebook page. So glad they were helpful, Sue! And thanks so much for sharing! 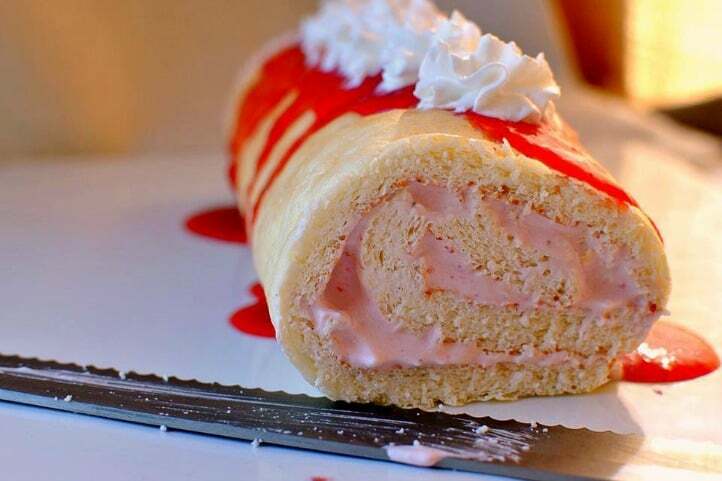 Whoa, these are some serious desserts. I looked them over and over but I couldn’t pick a favorite so I guess I will have to try them all !!! Thanks for sharing. 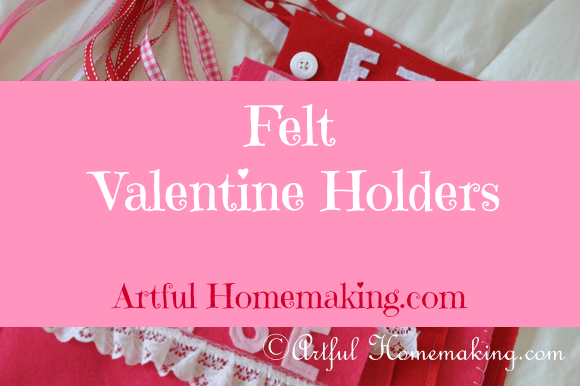 I like so much the felt Valentine holders . P.S. I have a new blog : Lecreazionidido.blogspot.it You are welcome, Joy ! Thank you, Franca! Your new blog looks lovely! Carolyn, thank you for creating such amazing recipes!